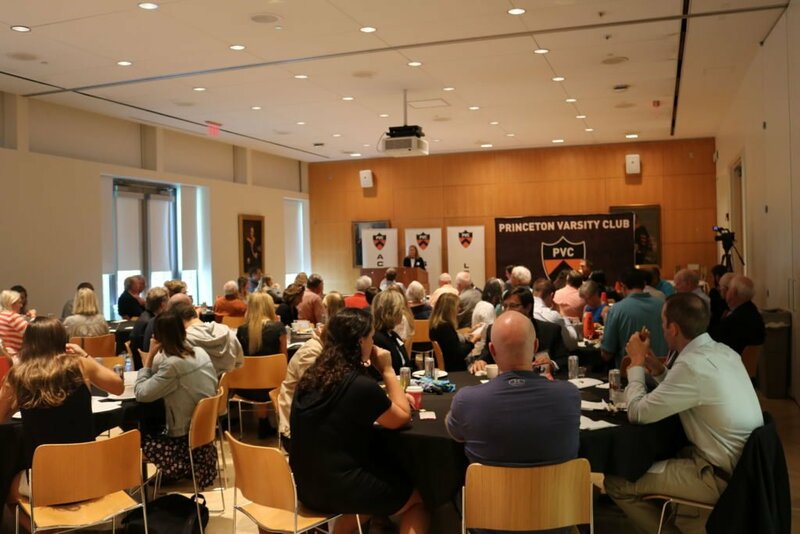 On Tuesday, October 9th, Princeton coaches, student-athletes, faculty members, and the “Team Around the Team” joined together for this year’s fall edition of the PVC Coaches Luncheon series hosted by the Princeton Varsity Club. 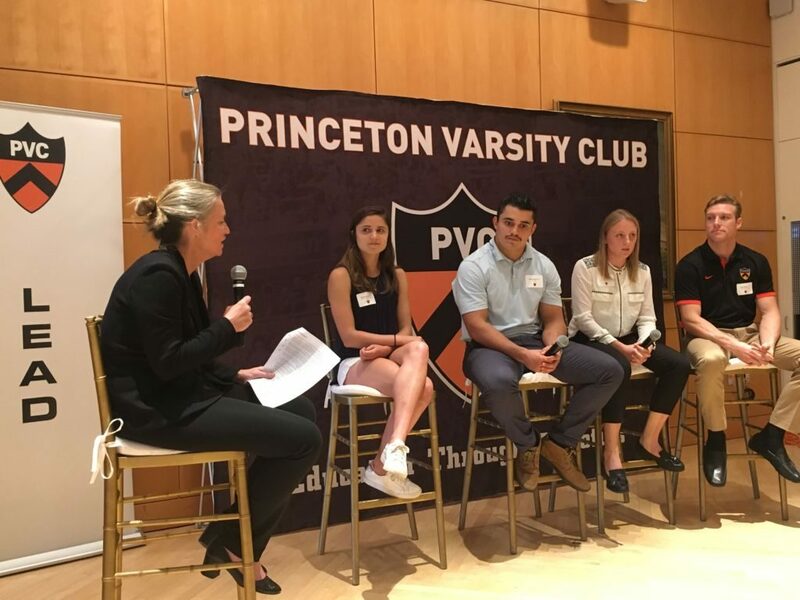 The event featured four Princeton head coaches, four Princeton student-athletes, two PNC Bank student-athlete achiever award winners, and Ford Family Director of Athletics Mollie Marcoux Samaan ’91. The event kicked off with an Athletic Department update from Ford Family Director of Athletics Mollie Marcoux Samaan ’91 about the progress and success of our fall sports so far this season, updates on facilities projects, and information pertaining to ongoing Athletic Department initiatives. She then announced the PNC Bank Student-Athlete Achiever Award recipients: Jesper Horsted ’19 (football) & Sophia Tornetta ’19 (field hockey). 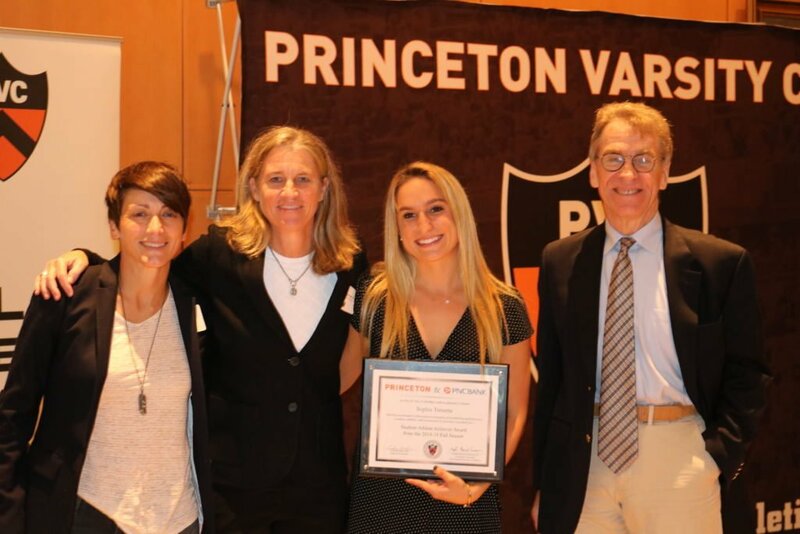 This award identifies two student-athletes per season who have excelled not only in their competitive landscape, but in their overall achievement as a member of the Princeton University Community. Next, we heard from the four featured head coaches (listed above) who all have had successful starts to this fall season. The coaches spoke about the importance of team culture, how competitions have gone so far and what is coming up in their schedules, and how grateful they are for the support from Princeton’s “Team Around the Team”. Lastly, the luncheon ended with a student-athlete Q&A panel moderated by Ford Family Director of Athletics Mollie Marcoux Samaan ’91. The four student-athletes (listed above) that were featured on the panel were asked many questions about their paths to Princeton and what their time thus far as Tigers. All four student-athletes spoke about the importance of achieving, serving and leading and how their experience as Princeton student-athletes has equipped them with skills, memories and lessons that they will carry with them for the rest of their lives.